normal 33 - 35 % down to 23 - 25 % . 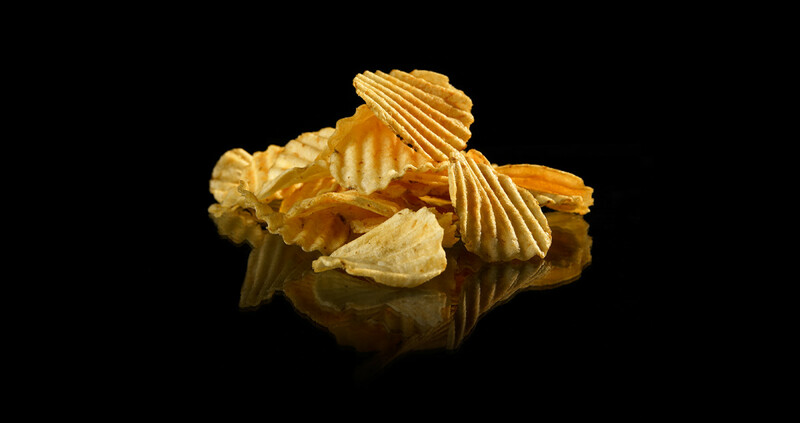 This corresponds to a potato chip with 30 - 35 % lower fat content. - Steam is injected and blown through a heat exchanger where it is super-heated to 160 - 180 degree C.
- The super-heated steam passes the product bed, picking up excess oil from the product surface. - Since the process takes Place in an oxygen-free environment, the quality of the oil is preserved and it can be pumped back to the fryer. ( measurements: 1 x 1 x 1 meter ) is selfsupported and gives you the same result as the fullscale industrial machine in terms of oil reduction, crispiness, colour, taste, etc. Contact us to learn more about our Defatter!